Udaipur: The political mercury is also going up as the date of the LokSabha elections is nearing. Udaipur, the otherwise quiet city, is now abuzz with slogans from the campaigners and their supporters. The oldest and the most trusted way of campaigning door to door with a crowd of supporters is still very much thriving. The candidates try and touch every single house and handover the manifesto to the voters. People love to see their representative and promise for support. Now, this promise does not always translate into a vote, and that is a personal choice altogether. Two cousins are battling it out for the second time for the coveted Udaipur LokSabha constituency. ArjunlalMeena, the present BJP parliamentarian, would be facing his maternal cousin and seasoned politician Raghuveer Singh Meena for the second time this year. 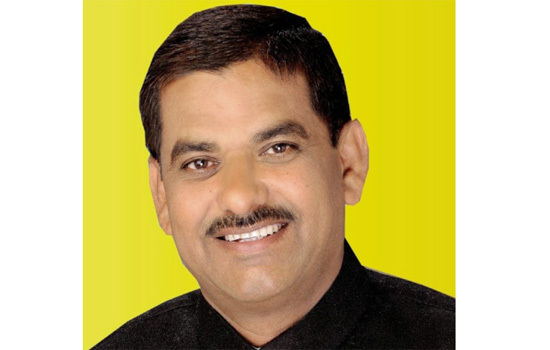 Raghuveer, a three-time MLA from Sarada constituency, had started his political career at a young age and had been the state minister for youth affairs and sports during 2002-2003, in the Gehlot government. He was elected to the 15th LokSabha in 2009 from Udaipur. The recent win by Congress in the assembly elections has given the much-needed boost to the Congress supporters and they seem more exuberant to campaign and count the achievements of their state government. In rallies, they do not forget to blame the BJP and ask for a vote in the name of good governance promise. They also ensure that all the poll promises made by their central leadership are reiterated so that people stay connected with the hope. Although Udaipur ’s contribution in Lok sabha seat for Congress in the past assembly elections was just one seat out of eight, still they were able to reduce the gap drastically. According to the last elections, BJP was ahead of Congress by 71,407 votes, a number that is too small to be trusted. BJP holds seven assembly seats as of now in the Mewar region. BJP got 6,51,323 votes in the assembly election where Congress bagged 5,79,850. The difference between votes was 2,35,000 in the last LokSabha elections in favor of BJP in 2014, and by that number, Congress has done really well. But again, people’s judgment is never based on past numbers; they see the present scenario and the future ahead. In a bid to retain the seat, BJP has already declared ArjunLalMeena as the party candidate. BJP has a great advantage of Prime Minister NarendraModi’s name and face which has been invincible in most of the elections, especially since 2014. Having 7 MLAs at present is a big plus for BJP and ArjunMeena has is already a sitting member of parliament from Udaipur. ArjunMeena, the BJP’s bet defeated RaghuveerMeena in the last LokSabha elections and yet again, he has the same opponent. ArjunMeena was elected as MP in 2014. RaghuveerMeena, a candidate from Congress, on the other end was MP from Congress from 2009 to 2014. He is currently a member of the Congress working committee, which is the highest decision-making body of Indian National Congress. The Major points of the manifesto were spoken in his speeches by Rahul Gandhi are giving momentum to Congress in Udaipur. Laxmi Narayan Pandya, claims that we will not only cover the deficit but win by a comfortable margin, however efforts are yet not done to manage the factors of defeat in the state assembly. On the other hand, the campaign of BJP is in the hand of veteran leader Gulab Chandra Kataria, who is Chanayka of Mewar Arjunlal claims, making place in the party is no guarantee of popularity. “One has to remain in close touch with the people, know the pulse of voters and problems of the residents if one has to win the hearts and election,” says the outgoing MP. Arjunlal mentions, Ahmedabad-Udaipur broad gauge conversion, passport sevakendra, Udaipur– Ahmadabad six-lane project and Smart city project — as his major achievements during the past five years.The decision for the people of Udaipur is not going to be easy to both the main candidates stand a good chance. All they need is to convince people like both of them have served as MP from the same seat so people can at least compare their achievements.